Never mind everything in the President’s statement was true and that it in no way violates any laws or rules regarding communications with foreign leaders, the TIMES story came from someone who ILLEGALLY released information from the Oval Office. A separate report in The Washington Post also said the Russia probe has identified a current White House official as a person of interest. Hmmm…..
Where is the Justice Department on all this? Is anyone there at home? Does anyone at Justice or the FBI work this week? Does anyone besides me think that it is past time for the Justice Department to find out who is leaking this classified information to the press and in doing so is committing federal felonies that are punishable by imprisonment? Make no mistake: IF the President or any other member of the Government is guilty of crimes of any kind, they MUST face the consequences for their actions. 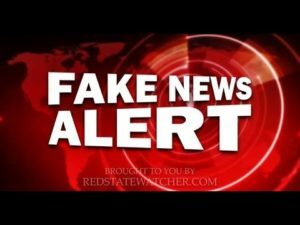 As a journalist I am horrified that any legitimate news outlet would take any such information obtained illegally and therefore making it unverifiable, and instead of turning it over to the appropriate authorities for inclusion in the apparent dozens of investigations that are underway, the TIMES and POST choose to write stories that do nothing but pour gasoline on the soap opera fires in D.C. that they themselves ignited. Attorney General Jeff Sessions: crank up the Justice Department or email the President your resignation while he is overseas. Let’s get someone who will go to work there……NOW! Americans deserve the truth rather than just gossip. Has anyone created a chart of U.S. laws that the federal government has been and is systematically ignoring? I’d love to see it if there is one. No doubt there are many based on those that we see daily in the news. We have in the immigration war of words learned that states cannot be forced (under the 10th Amendment) to enforce federal laws. This fact was driven home in the Sanctuary City controversy regarding states and cities — specifically San Francisco and the state of California — not cooperating with ICE regarding holding illegal aliens arrested for local crimes for the federal a gency to pickup for deportation. However, please note that states cannot over rule a federal law. When a federal law conflicts directly with a state law, the federal statute over rules the state statute with which it conflicts. But what this post is specifically referencing are the laws that previous Administrations chose to ignore. 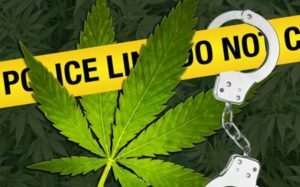 In fact, in the Obama Administration, the President instructed the Justice Department to NOT enforce federal laws against a recreational drug user when arrested for drug use. Of course the possession of and use of an illegal narcotic that is defined in federal statute is a violation. And those federal statutes were passed by Congress and signed into law. Non enforcement of those laws under White House instruction quite honestly is a violation of the spirit of the Office of the President and a violation of the very Oath of Office sworn by every U.S. President: “I do solemnly swear (or affirm) that I will faithfully execute the Office of President of the United States, and will to the best of my ability, preserve, protect and defend the Constitution of the United States.” The “Office of President of the United States” Constitutionally is the office to enforce all laws — Constitutional and those passed by the Legislature and signed into law by the President — regardless of who sits in the White House or their personal opinion about those laws. There is NO Constitutional provision for any President or any law enforcement officer or official to for personal reasons of any kind to choose to NOT enforce any federal law. Yet we have witnessed it in the U.S. time and time again over the past two decades. 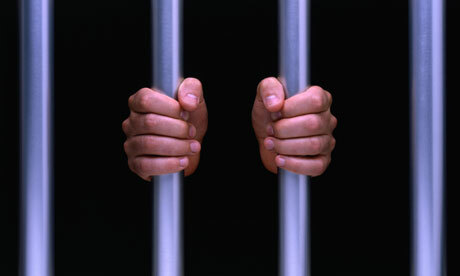 Presidents Obama and Bush 43 in certain cases turned their backs on prosecuting federal law breakers. Where is there legal or moral justification for doing so? Morally? There is NO justifiable moral reason to break ANY law. Want to know what the problem here is? Political Elitism. Let’s face it: the lawmaking, law enforcement, law changing process in American government is pretty simple. And it was installed in that bastion of Democracy that we Americans are supposed to live by and is supposed to guide our government and everything it does, “for the People,” — the U.S. Constitution. Laws are NOT made by the President, the Supreme Court, U.S. Attorney General, Secretary of State, or any other individual. 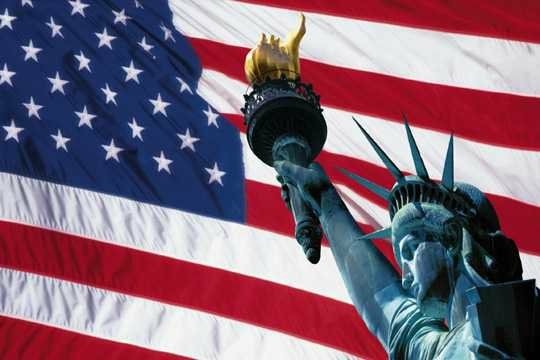 Constitutionally laws are made ONLY by the Legislative Branch of the U.S. Government. However, in the past decade or so it has become accepted that the “Politically Elite” have a “pass” to wink at laws on the books when they do not fit the elitist narrative and that those who have such power just make certain those laws are not enforced. Bush 43 hated U.S. immigration laws as did his father and President Reagan. 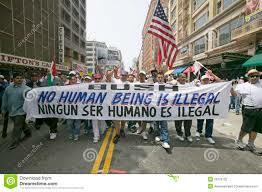 Reagan actually granted amnesty to a large number of illegal aliens in contravention of U.S. law. Clinton often railed (at least verbally) against illegal immigration and its deadly results in the U.S., but never took or even instigated any legislative actions to change existing immigration laws. Bush 43 had the PERFECT opportunity to push for immigration reform because of his great relationship with Mexico. Remember: before the White House, he was governor of the state with the largest border with Mexico and the largest Hispanic population in the U.S. — Texas. Yet he had conversations with the representatives of the “Immigration Elitists” in D.C. and then understanding the political pushback against such legislative attempts and the political capital it would take to even get real legislative action taken on the issue, he simply took a pass just as did Clinton. Enter Barack Obama. 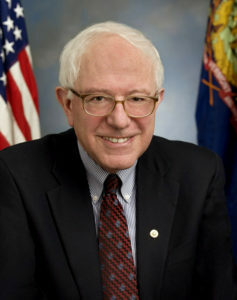 He let the World know that his election both times came with a message from American voters who chose him to guide the Nation: open up the borders, stop senseless federal drug user prosecutions, soften penalties for federal non-violent lawbreakers, and reduce prisoner populations in federal prisons. 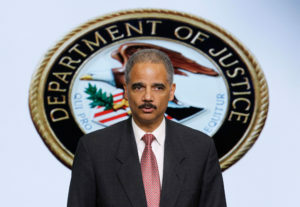 (Remember his famous statement: “Elections have consequences”) So among many other unilateral actions the former Community Organizer took were to instruct AG Eric Holder to do just that. Illegal aliens poured across our southern border. Recreational drug use sky rocketed. Colorado and several other states legalized the recreational use of marijuana. Obama started pardoning federal prisoners and releasing them by the thousands. If President Obama ever gave the legislative process and/or the Constitution a thought during his eight years, it was just that: a “thought” and nothing more. He was the epitome of what an elected government official is and does as a “Political Elitist.” He was above the law. Let me ask you a question: if as has been stated through the years in dozens of national election campaigns, (including Barack Obama’s) “We are a nation of laws,” how can that be true if on the federal level members of the one branch of government charged with enforcing the laws enacted by the Peoples’ representatives simply ignore those laws? Laws are the skeletal system of a nation. And without laws, what does that nation become? And if our federal government instead of passing, implementing, and enforcing laws simply unilaterally chooses to ignore the Constitution, what happens? Certainly we cannot just continue on this present course. There is a name for this. Merriam-Webster defines it: Anarchy. a : absence of government b : a state of lawlessness or political disorder due to the absence of governmental authority the city’s descent into anarchy c : a utopian society of individuals who enjoy complete freedom without government. If we no longer live in a “nation of laws,” what type of nation do we live in? We can look around the world and see other nations that are further down the road toward lawlessness and see just how their government functions and its effects on its citizenry. Many of those countries are called “banana republics.” Banana republic is a political science word. It is used for a politically unstable country. 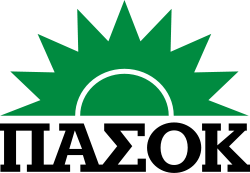 It was invented initially to describe Latin American countries that fit that definition, many of which economically depended on exportation of very few or a single product. Many exported bananas. I’m not a sociologist, but it looks like we may be headed that way. We’re already becoming a nation of Elitism whose government selectively picks and chooses laws to enforce. And at least 4 of those 5 descriptions of banana republics already fit the U.S., and many would argue that all 5 do. Correction begins in going back to basics — the U.S. Constitution. It is without question the most comprehensive, effective, and reliable government roadmap on Earth. And it has worked for more than 250 years. Let it continue working! If there are laws we don’t like….change them! But do so in a Constitutional manner, not by executive mandate to ignore laws or create new ones. Let the Peoples’ House do what they are elected to do. The communists are here and their methodology of destroying Democracy has been unleashed already in the streets of Berkley, Philadelphia, NYC, Baltimore, Chicago, and even Washington D.C.
Is that what we really want for our grandchildren and their children? 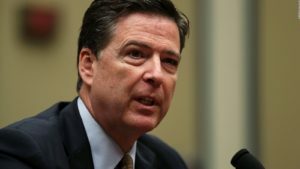 Let me get this straight: former FBI Director James Comey “claims” that President Donald Trump asked him to stop the Russia investigation into Trump Campaign collusion during the 2016 election. The NY TIMES published a story releasing the bombshell information that has set the News Media on fire. 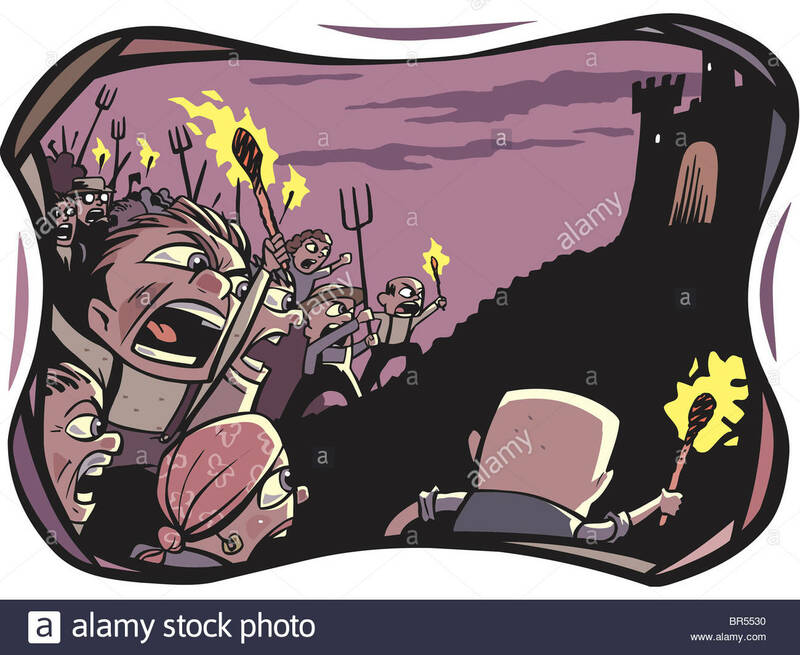 The TIMES report has shifted the Washington Politicrat Villagers into high gear and they are storming the castle — the White House — demanding the head of the President. Wait a minute: that is not literally happening, but might as well be. The NY TIMES just handed the Liberal Left another stick of dynamite and they are all storming the castle to blow up the evil king. But before they blow up the President and the White House, let’s try to find a thread of truth in all this — if there is one. First, the old tried and tested journalistic saying should be applied here: “consider the source.” Of course the TIMES has done so or they would not have released the story. They along with their Washington D.C. counterparts at the WASHINGTON POST are the national bastions of truth in reporting and have through decades never printed a story without sourcing the story’s information, vetting the source, and confirming story content. So if either newspaper releases a story we do not even have to stop to “consider the source,” right? WRONG! Just last week the WASHINGTON POST printed two stories that were patently wrong. The TIMES has done the same thing over and over again in the last six months. The targets of their “Fake News” has perpetually been Donald Trump: both as a candidate and since January as President. For those reasons, Americans should be pretty cautious about taking any negative story from either source about the President at face value. Why don’t we analyze this latest attack on the President? Let’s “source” this blockbuster story that if true, will shake if not destroy this Presidency. There are only two legitimate explanations for doing so. One is to protect the identity of the source so as to not place them in harms way for relaying the information. The second is because the source does not want to be exposed as giving incorrect and/or unverified information that is either incorrect from the beginning or unverifiable. In either case, the reporter still has the requirement to verify the information given from at least two legitimate sources. In this case it was “he said/she said” and nothing more. 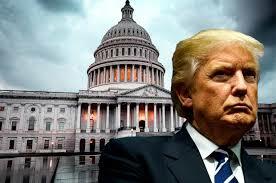 Congress: make it a criminal offense for a national media outlet to release stories including information obtained from “unnamed sources” about President Trump or ANY President. It’s OK to release stories with sources included. Without them, they’re just tabloid gossip. What proof does that unnamed source have of the request made by the President for Comey to stop the Russian investigation of Flynn? Simple: the source has a memo verifying the President’s request! That is a game changer, isn’t it? I wonder how a Comey assistant would even have access to a memo from the President to the FBI Director, because any such memo would be classified and only those with the highest level of government clearance should have such access. (Maybe that’s why the source remains “unnamed”) But wait…the memo did NOT come from President Trump. 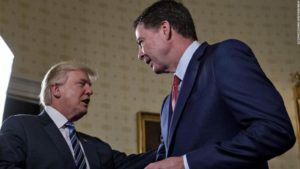 It is reportedly a memo written by FBI Director Comey ABOUT the President’s request for Comey to interfere! Comey reportedly wrote the memo in question several days later. And apparently that memo has been kept somewhere in a vacuum until what happened? Comey got fired. But the request by the President, as damning as it is, of the FBI Director should NOT have lived in a vacuum, and certainly should not have considering the chain of events that occurred AFTER that Valentines Day meeting with the President. Comey as head of the FBI most certainly should have shared that Presidential request with Intelligence officials, especially with the unending and massive concentration by all on the alleged Russian election interference. But Comey buried the information. Let’s understand the timeline. So Comey was called on the carpet for allegedly withholding information from members of a very important Congressional group, and at that meeting to discuss just that three weeks after the President’s alleged request of Comey, the FBI Director did not inform that group the President was attempting to obstruct justice by intervening in an investigation of a foreign government’s meddling in American elections? That is impossible for me to believe. What’s going on here? There is no doubt that Comey probably wrote the memo. I have no idea when it was written, and that likely makes no difference. My conclusions come from what we know about former Director Comey: First, he is publicity driven. This characteristic of his was made apparent to all by the way he injected himself into the 2016 election cycle, taking on himself the ability to directly impact the results of a national election. He did so by not just the timing of his press conferences to discuss the Clinton email investigation, but even making public comments about the matter. In doing so he immediately lost all intelligence credibility. I think Comey is lying. (and remember: we have NO memo in hand to examine yet) AND WE’LL NEVER KNOW FOR SURE IF HE LIED! Why? If/when we actually see the memo, we will never know (since the Director allegedly wrote it about a meeting with Trump with no witnesses) if the request was ever made by the President. So the damage to the President has already been done. And there’s no way to put the genie back in the bottle. President Trump needs to understand that NO one in the media can be trusted, and that everyone with whom he has conversations may repeat those. I suggest he initiate a process in which every conversation he has is recorded — not secretly. Create a process that is made public for all to understand that anytime you have a conversation with the President — either in person or by phone — it will be recorded. Yes, in doing so some people will be put off and may not say things they otherwise might say to the President if they were not being recorded. But knowing now that no conversation he has will be confidential should now be the basis for every meeting he has. Investigation: Who and by Whom? “Investigation.” This is the hot word that’s on the lips of every news reporter in the nation today. The word itself offers up a specific perception when spoken about the “who” and “what” are specific to that conversation. But whenever uttered, it always denotes something sinister — something wrong about something and/or someone. It is most often used politically by those who wish to cast dispersion on political opponents, whether or not there actually is an investigation underway or pending. Of course, if someone is being investigated there must be something terribly wrong. But remember this reality: perception IS reality, no matter if the particular perception is true. 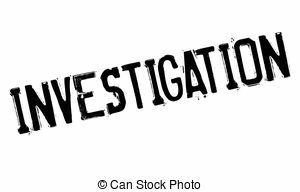 Many a family, career, personal relationship, political opportunities, have been short circuited simply by the use of the word “investigation.” And Boy are we hearing that word thrown around D.C. today! What are the current “investigations of the day?” There’s the Russian interference in U.S. elections, Russian collusion with the Trump Campaign to affect the 2016 election, Donald Trump’s personal relationship with the Russians, Trump’s firing of FBI Director James Comey, Trump’s tax returns — these are just a few of the investigations underway or being considered. There are probably dozens more we do not even know about. The latest buzz term referencing investigations is “Special Prosecutor” or “Independent Investigator,” speaking about appointment of an independent person or persons to conduct these and other investigations. The purpose is to take away any political favoritism or partisanship in each investigation. Supposedly that cannot be done by using conventional investigation sources, like the FBI, Department of Justice, Federal Attorneys Offices, etc. Here’s the rub: the federal Investigative process has become totally politicized. There is NO independence. These investigations are always done on a politically partisan basis. It is virtually impossible for any investigation in Washington D.C. to be conducted in a non-partisan vacuum. Such doesn’t exist! It may be possible to conduct a non-partisan investigation somewhere in America, but where that is I don’t know. Think about it: every department in the U.S. government has an Inspector General. That person (and those in his/her office) are charged with making certain any and all improprieties that may exist in that department are ferreted out and the perpetrators of those improprieties are identified and dealt with immediately so as to prevent any further issues. Inspectors General also monitor any and all processes for operations assuring Americans they are operating properly. If this one-on-one process cannot be non-partisan it is impossible for the Federal Government to ever have an un-biased investigation. So how can the government assure Americans it can and will conduct its business openly, honestly, fairly, and according to law? That’s a tough one. I think it is safe to say that all Americans want to get the answers to the questions about the issues I listed above and others. But Americans today more than ever want and expect real answers to real problems. That begins with facts. How do we get real facts from every government investigation? I’m pretty sure it can be done, IF the process is changed. But to do so will require some real resolve and acceptance. It will work if we can get it started and let it work. Doing that will take some time, patience, AND acceptance of non-partisanship in the process. We have allowed the Federal Government to make it too easy to allow pretty much ALL government officials — elected, hired, and appointed — to get by for improprieties by not enforcing laws and regulations, AND, not making offenders accountable. As Moms and Dads we all know and understand our children most often will not do what we say (or WILL do what we say not to do) unless they know we mean business, and that if they disobey and break the rules there is a price to pay. Too often even when there’s a known price to pay, we don’t make our kids pay it! We’ve allowed the government to move into our homes and we treat the government different from our normal processes we conduct without thinking within our own families. 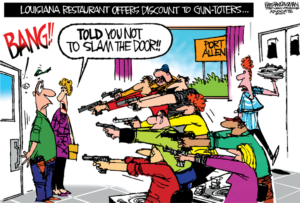 We all know that if a kid keeps slamming a door and we keep saying, “Don’t slam that door or you’ll be punished,” and we never punish the kid for slamming the door, he’s gonna keep slamming the door. No accountability. Why do we treat government investigations differently? There are huge consequences for egregious violations of laws and/or regulations that are simply ignored. Taxpayers pay millions of dollars for Inspector General investigations that often result in discovery of unbelievable breaches of fiduciary management of government in which wrongdoers currently don’t receive even a slap on the wrist for violations. And the violations continue with no cost or penalty! I know this is an extreme example, but it is a literal one: we all know that capital murder in the United States is punishable by death. But almost always the death sentence for murder is not carried out: it often is converted (for a multitude of different reasons) to life in prison or some lesser amount of time to serve in jail. Many who stand against capital punishment use as a reason to abolish it that killing someone does not necessarily deter others to kill, therefore does NOT prevent homicides. There is no way to quantitatively argue that point. But what CAN be argued is this: when a person is put to death for murder, THAT person will never murder again. Yes, that might be an unfair comparison for this conversation. But what it illustrates is that simply implementing a deterrent for doing something wrong is totally senseless and useless unless that penalty is enforced. Offenders MUST be made accountable for their actions. Continuing down the path of permissiveness will do nothing for anyone. And in the case of investigations within our government for wrongdoing, it will put us on (if we are no already there) the road to anarchy and destruction of our representative democracy. Create and maintain an environment of consistent adherence to operating guidelines, procedures, regulations, and laws in every government office. Educating all those affected and who are part of this process is critical. Implement a process of accountability that is clearly explained to all those involved. To do this effectively, whoever is the person or persons responsible for detailing the process and its expected results must also detail repercussions for non-compliance. And all must know those repercussions are definite and absolute. And those penalties must be carried out in every case. Who can we trust to create such a process and make it work? One thing is certain: it cannot be political. It needs to be a career organization or department (or could be a non-political career department of a political organization) that has no accountability to politicians. That in D.C. will be difficult to pull off, but it can be done. The Justice Department could create a real investigative department that is totally self sufficient, run by hired, career investigators that are charged with doing nothing but investigating government agencies, departments, their internal processes and operating procedures, and those who are involved. It could parallel the FBI with the exception of being able to investigate matters that are not criminal in nature — at least at the time. The department head would need to be appointed by a three judge panel of the U.S. Supreme Court and would answer only to a court (similar to the FISA court) also appointed by the U.S. Supreme Court. So let’s be specific about why we’re even having this conversation: it’s because there’s a bunch in D.C. that needs to be cleared up and cannot be cleared up from within the political atmosphere. If we had such a Department now, these could all be referred for investigation, and Americans could not worry about partisanship in any of the above mentioned investigative issues and those to come. Every American wants an end to the noise of “he said, she said,” “he did, she did,” that is dominating every day in our government. No doubt the media doesn’t help. They’ve never seen a divisive story they don’t like if it’s news! That being said, know this: the Media will NOT like a process like this, will tear it to pieces every chance they get, and will charge it inhibits their rights under the First Amendment. Let them cry: they’re really good at doing that. Let’s get our government straightened out. Let’s get good people in places of decision-making in D.C. Let’s get the criminals and self actualists OUT of D.C.
NSA Advisor General H.R. 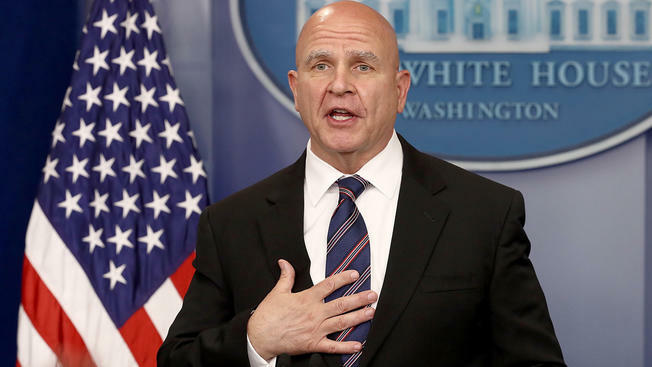 McMaster is being blasted continuously by a contentious White House Press Corp based on a WASHINGTON POST story claiming that President Trump in a White House meeting gave inadvertent classified intelligence to the Russian Foreign Minister about ISIS. That information was provided to the U.S. by its foreign intelligence partners. The POST claims that foreign countries are aghast at the President’s actions and are all considering terminating their sharing of such information with the U.S. Apparently the POST’s claim is unfounded. Wait a minute: a national newspaper story might not be true? One about President Donald Trump? How could that be possible? The WASHINGTON POST makes itself out to be the watchdog of journalistic truth and integrity. They would NEVER print a story that was not sourced, sourced again, and again, and that every source and every story — especially one about such a vital U.S. intelligence process — was absolutely true beyond any remote possibility of error. Yet once again, they have opened yet another door for the Leftist Socialist Media to attack President Trump. The New York Times said in a story the country that gave that intelligence to the U.S. was Israel and that the Israelis were so upset they were considering sharing such intelligence with the U.S. no more. 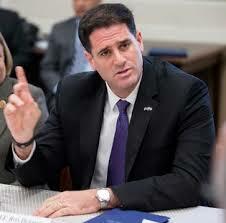 But then we heard this: “Israel has full confidence in our intelligence-sharing relationship with the United States and looks forward to deepening that relationship in the years ahead under President Trump.” That from Ron Dermer, Israeli ambassador to the United States, said in a statement responding to the report. Honestly I would rather the President follow my suggestion from a few days ago which was to do a once a week YouTube video bringing policy information directly to Americans bypassing the Socialist spin that inevitably gets added to anything anyone in the Administration says. Sounds rather innocent, right? But understand this, the IMF is headquartered in Washington D.C., is funded primarily by the U.S. Government, and exists in reality to find ways to control monetary policy within every country (or at least their 189 members) and “help” make policy that steadily and stealthily moves each government on Earth toward totalitarian rule. (No, I am not a conspiracy theorist. It is happening very publicly today and has been for at least 40 years) They hate wealth and feel strongly wealth should be totally controlled by government. Are you interested in what and how they do this? The IMF has told Germany it should raise its property tax, cut social welfare contributions and invest more to reduce income inequality. The demands are contentious in an election year. Once again the IMF has demanded higher taxes on savings deposits in Germany. Germany must do more to impose more socialistic ideals to somehow tax the rich to create a broader participation of all citizens in the fruits of economic growth — if somehow raising taxes actually ever creates economic growth. The IMF warns that there is a relatively high tax burden on lower incomes with a comparatively low burden on assets. And that’s not “fair” to lower and middle class citizens. The IMF argues that higher taxes on property are in fact necessary and that the government should demand higher wages to also give impetus to the growth in Germany. Yet the say doing so magically creates NO inflationary impact. Years ago, Italy simply imposed a tax on money in one’s account. This was called a “capital levy.” This was a one-time charge as an exceptional measure to restore the sustainability of the Italian debt. The IMF is also suggesting that same measure be invoked to help the coming Italian Sovereign Debt Crisis. The attractiveness of such a measure is that such a one-time tax can be levied before a tax evasion can ever occur, especially if cash is eliminated and money can only exist in bank accounts. The IMF for this reason wants cash and cash usage to be eliminated in every country. “The amount of the tax would have to bring the European sovereign debt back to the pre-crisis level. In order to reduce the debt to the level of 2007 (for example in the euro area countries), a tax of about 10 percent is needed for every household.“ As you can see, there is NEVER any discussion about reducing taxes or the size of government. The solution is always to raise taxes and to not even look at the old Italian trick of a 10% seizure of all cash in your account. So what do we do? Study, investigate, ask questions. And point out your discoveries about Socialism to everyone who will discuss American politics with you. Remember this: there is NO — NOT ONE — example in World History of a Socialist government ever working. The theory never works. The media feeding frenzy in Washington is almost unparalleled. Watch any of the Leftist news shows and their programming is non-stop anti-Trump “dump the guy” rhetoric. I have not in my lifetime seen anything like it. Watergate is on the tips of every tongue of every Leftist media anchor, analyst, special “expert,” and every Democrat politician they bring on. It’s about James Comey’s firing; it’s about Russia’s partnership with the Trump Campaign to rig the 2016 election; it’s about Trump obstructing justice, and on and on. In the 24 hours after Comey’s termination was announced, there were 190 national stories about the Comey firing that most of included comparisons to Watergate. Only 11 stated there was no comparison to Watergate. Turn to Fox News, and, yes, there are conversations and stories about the Comey firing, but no rabid discussions about Watergate. What is going on? Journalists are a funny breed. I know no other profession in which such a large majority of its workers are so self-centered, so single issue driven, so hell bent on obtaining one thing and one thing only. What is that one thing? They spend every second while awake doing anything they think is necessary to give them that journalistic prize: a Pulitzer. They each fight incessantly to be the next Bob Woodward or Carl Bernstein. They each and every one think constantly of that book deal or if Redford will be available to star as them in their blockbuster movie. What we are witnessing front and center every day and every evening is the exhibition of narcissism as it has never existed in such concentration in America. And it’s NOT from Donald Trump. It’s from the Leftist Media. Folks, the Russia investigation started 9 months ago. As I stated two days ago, the largest, most sophisticated investigation departments in existence belong to ABC, NBC, CBS, and CNN and the NY TIMES. Their reporters, directors, and anchors have all been working 24/7 to find “the” smoking gun or the dirt about someone from the Trump Campaign that proves collusion with the Russians. Oh they hope it’s President Trump! If he is personally involved and they find it, their movie and book residuals will propel them to the highest heights in media. That’s all they think about…that’s all that matters. What will they do to get “the” story? Enter Fake News. Most of us questioned Candidate Trump’s constant barrage of name calling of the media. We dismissed it as simply being campaign rhetoric. He began using that verbiage several months into his campaign. But did you notice how angry he became during his use of it coinciding with his becoming the GOP nominee? Wonder why it happened then? Remember I said the Russia FBI investigation began 9 months ago? It was then that whoever at the Obama White House, the FBI, NSA, CIA, or any other agency started the leaks to the media. And the media took that as their marching orders to “Dump Trump!” Obviously, for the first time in U.S. journalistic history, real journalists set aside their code of honesty and integrity and started saying and writing anything that came to mind that would paint Donald Trump in a compromised way. Remember this: every source they quoted with damning news was always an “Unnamed Source.” Why do you think that was? It was either a totally contrived source, or the leaker when giving the reporter the information stated that he/she could not reveal their source. In either case, we have seen the death of First Amendment honest journalism in America. And it was borne to do one thing and one thing only: Kill Donald Trump. Investigations continue into the potential collusion between Trump folks and the Russians. Democrats desperately want these investigations to take a year or two. If so, they feel strongly they can parlay voters’ questions into retaking the House of Representatives in 2018. Today I listened as one Democrat Congressman from California said this: “It is uncontroverted that the Russians impacted the election in 2016 and that they did so to get Donald Trump elected. What hasn’t been found out yet is exactly what Trump did to facilitate the Russians getting that done.” He’s from California! Do you know how many Californians there are who don’t read newspapers, watch the news, pay attention to national matters? Millions! I say that not to denigrate them but to illustrate the evil that drives Liberal Leftists to do anything to perpetuate their socialist causes. The truth or righteousness makes NO difference. It’s all about political expediency as they define it. Bookmark this post. There will be multiple times in the next year you will need to “bathe” your mind to wash away the scum you see, hear, and read from Leftist Media and politicians. Special Prosecutor? 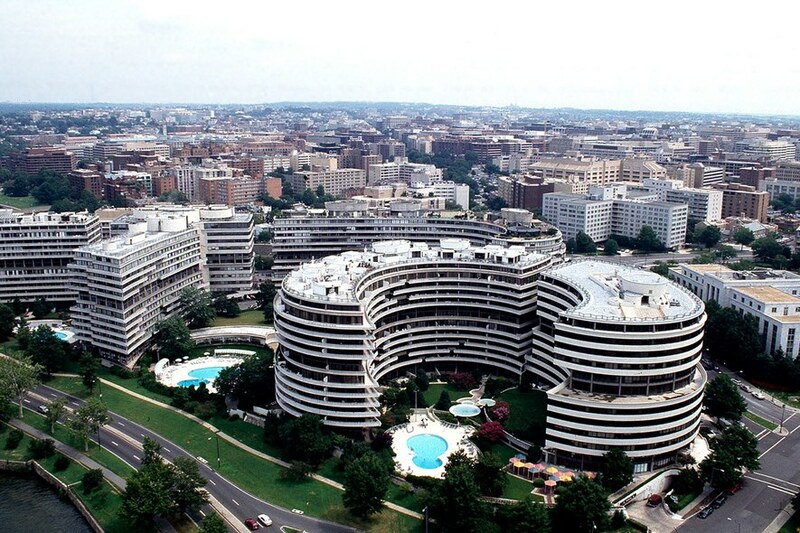 “They had one in Watergate. That means we need one now!” is their cry. 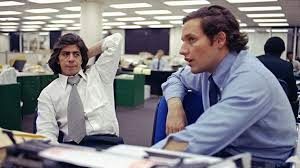 The difference now: there was a mountain of criminal evidence uncovered by Woodward and Bernstein in Watergate. Not only after 9 months is their no evidence of Russians affecting the election, (which means there is no evidence) not a single Intelligence Agency department head or investigator has offered up even a hint that there may be any such evidence in existence! “You shall know the truth and the truth shall set you free.” I can’t wait! Wow! Was this the perfect week to release a series about Political Correctness? Are we seeing “PC” illustrated all day everyday throughout the media? A few days ago when Political Correctness: Part I was released, we were just getting going with the firing of FBI Director Jim Comey. That action by President Trump lit the fire of “PC” just like I was a University Professor teaching a class on “PC” and he was the one who was to illustrate the class topic. Boy, did he do a great job! His actions fully exposed Political Correctness to the World as the “PC” cops went nuts! 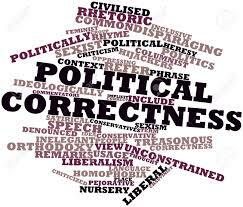 For Part II getting started, remember this: “Reality isn’t reality — Perception is reality.” That phrase illustrates the demonstrative purpose for Political Correctness. A tagline could be: “Symbolism over Substance.” In either case, the truth does NOT matter to the narrative being used by those “PC” folks for which a particular occurrence applies. Just like those who are politically correct among us, Substance does not matter nor does reality: Perception and Symbolism drive the “PC” boat. Examples: Just watch the talking heads all week long on the major networks, + CNN, MSNBC, CNBC, or read the NY Times or the Washington Post. You at any of those stops will see, read, and/or hear examples of Perception and/or Reality 24/7. It is so ridiculous it in this bombardment of stories all about the same thing have created an atmosphere of perceived failure. Nothing could be farther from the truth. Yet the narrative continues: Trump’s a liar, a cheater, obstructing justice, covering up scandal, a traitor, and don’t forget the daisy chain of Liberal monikors like sexist, homophobe, misogynist, Islamophobe, xenophobe, and maybe even a candy bar thief. ALL symbolic — not substantive, and ALL Politically Correct. It is understandable to all of us in the Public why the polls show again and again just how much American people dislike the purveyors of “PC” — the Liberal or “Alt Left” Media. Why the disdain for them by Americans? The hypocrisy that when there are stories to tell the media do not just report/tell the story, they in every case “paint” the report/story with their own perspective rather than simply reporting it. Don’t get me wrong: editorials and columns have been in print for more than 100 years. News shows are abundant on talk radio and television, all of which or editorials. But news reporters have NO credibility when they choose to editorialize the news rather than report the news. But they have to spin the news because they are the “PC” Cops — they are the arbiters for all as to what is correct and what is not. It was comical to me today for the President to tweet: “Maybe the best thing to do would be to cancel all future “press briefings” and hand out written responses for the sake of accuracy?? ?” Why would he say that? Simple: the President of the United States does not have the ability to (through the conventional news media) make statements that are relayed to the public as quotes from him with nothing added. The “Alt Left” Media “PC” cops feel it is their duty, their responsibility, and their right to interpret what he says and why he says it so that American minions can comprehend the REAL meaning of his statements. After all, Americans are too dumb to understand what he says. Only the media have that ability and must interpret for us. Regarding the President’s “threat” today to stop daily press briefings and the subsequent unified gasps from the Alt Left Media hacks, most have forgotten that Obama hardly EVER gave face time to the media. He went over six months between press conferences. And many of the press have admitted that President Trump is far more available to the press than any other recent POTUS. That being said, he needs to think through his threat. Why? In January during the first full week of his presidency, he skipped the media and issued an informative plan to the American people via video that was unbelievable successful, thorough, and to the point. He did not get interrupted, there were no press people arguing with him, interrupting his statements or his answers to their questions, and he finished it in a matter of minutes. He gave the report on YouTube! I wrote a letter and an email that I sent to him, Ivanka, and his Chief of Staff suggesting that going forward he ditch the daily White House press briefings and instead created a “White House YouTube Channel” on which he could periodically speak directly to Americans, totally bypassing the media. He doesn’t need them to interpret and/or filter what he says! Americans get it. Most Americans are smarter than the media and easily comprehend what the President means when he speaks. Doing that would remove all issues he has with his message being misinterpreted, misunderstood, filtered to include “PC” perspective, and interpreted for the public. A regularly scheduled YouTube address from the President would draw tens of millions of Americans. Q & A? Obviously that would not be possible in this setting, but he could tell viewers in every message that they can email him questions that he will answer during his next scheduled YouTube video briefing. I wonder how much more of his true thoughts, concerns, achievements, and ideas would get to Americans unfiltered and without the filter of Alt Left Media. I think he should do it! 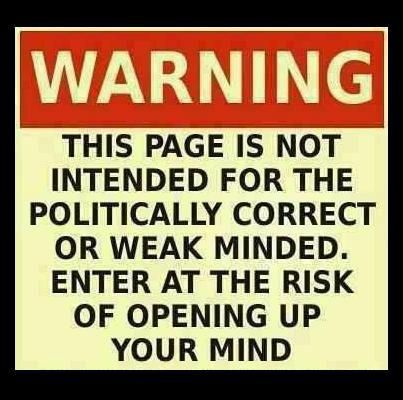 Political Correctness is poisoning America. Our children and grandchildren know no other media methodology than what they see and hear every day. It does no good to try and explain to them how skewed the news is today. They have no perspective other than what they see every day. There is no “real” news with which to compare what they see and hear today. The only way to take back the integrity of the media is to do exactly that: take back the ability to talk to Americans, give the Americans facts and truth, and ignore the “drive by shooters” in the press. A “POTUS YouTube New Channel” sounds like a really good idea to go past the Alt Left Media hacks, their minions and their filters, and take the daily stories, explanations, and plans for America directly to the People. And the sooner the better. We have a bill that’s been passed by the House to repeal and replace Obamacare. The Senate is processing and developing their version. Intense tax reform is set to get underway. 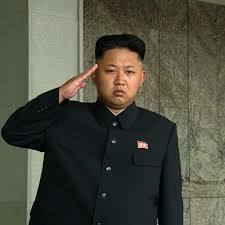 We are standing on one side of a red line drawn by the President with a nuclear, war mongering idiot in North Ko rea on the opposite side of that red line. We could be at war anytime. We’ve conducted a missile strike at a Syrian military airfield for their deployment of Chemical Weapons, and we dropped a MOAB in Afghanistan, not to mention concentrating much effort on assuaging the continual onslaught of illegal alien crossings at our southern border. There’s a new U.S. Supreme Court Justice the President appointed who was confirmed. Our government has been pretty busy since the Trump Inauguration. Oh: the President also fired the Director of the FBI who was directing an investigation of members of the Trump Campaign to determine any collusion on their parts with the Russians during the 2016 election. All but the last item — “The Russians are coming” — have been planned and implemented since the Inauguration on January 20th. That Russian investigation (which was initially started to investigate Russian interference in U.S. elections) has been underway for months and months. And there still is NO evidence of any collusion! The greatest intelligence agency on Earth has deployed its best counter intelligence assets in this investigation. The largest news organizations in the U.S. (that each have massive investigative and research departments, and each organization despises Donald Trump) while sporadically releasing front page stories that each rely always on information obtained from “unnamed sources,” have not ONE shred of evidence after months and months of millions of dollars of research and investigation. The NY TIMES, WASHINGTON POST, CNN, MSNBC, CNBC, ABC News, CBS News, NBC News, PBS, and every other news organization in the U.S. have drawn blanks on the “Russian Interference” and “Trump collusion.” Where’s the irony in this? With NO evidence at all, NO credible information, NO informants, NO testimony, NO smoking gun, there is NO proof the Russians interfered with the election. Regarding the Trump Campaign: No evidence, NO information, NO informants, NO testimony, NO smoking gun — NO proof of collusion with the Russians by anybody Trump related. Let’s go one step further. Hillary Clinton broke multiple laws regarding the handling of classified information and documents — laws that were detailed during and after the FBI investigation in to her mishandling of emails and use of an unsecured private email server. There is NO question about her breaking laws. Then FBI Director Comey (now “Fired” Director Comey) unilaterally gave her a pass stating that “No credible prosecutor would pursue a case against her.” He lied with that summary statement! Federal Prosecutors lined up to speak on dozens of national talk shows stating the law(s) that were broken, how obvious the federal case against her is even to this day, how many charges should be brought against her, and that each of them would GLADLY prosecute her if given the chance. Any irony there? Now let’s discuss just how stupid politicians and liberal news media hacks have shown they are this week. President Trump fired James Comey. Comey works at the pleasure of his boss. His ineffective and baffling lead of the HRC case and subsequent cases open now, his ignoring the breaking of federal laws by Clinton, his surprising impromptu conversations with the press about ongoing investigations, and many of the things he said publicly, did publicly, and things he did NOT do on his job demonstrated his gross negligence as FBI Director for all to see. Leading Democrats by the dozens on numerous occasions clamored for his head. (including Harry Reid, Nancy Pelosi, Chuck Schumer, Hillary Clinton) Trump wrote him a letter of dismissal in which he explained his reasoning for the termination, released that letter nationally which was widely distributed, and Chris Mathews, Rachel Maddow, Brian Williams, The View, Nancy Pelosi, Chuck Schumer, and many others each immediately began vomiting green, heads spinning in circles, screaming at the top of their lungs so everyone within ear shot could hear, “Trump is terminating the Russian investigation! It’s another Watergate! He’s interfering in a federal investigation! Special Prosecutor, Special Prosecutor, Special Prosecutor!” Even GOP Senator John McCain has joined Schumer’s chorus. Any ironies here? First, read my post from yesterday in which I stated: As a result of Watergate, in 1977 Congress passed the Ethics in Government Act (EGA) which for the first time defined procedures for the appointment of special prosecutors. Specifically, the Act provided that upon receiving allegations relating to certain “covered persons”, the Attorney General was required to conduct a preliminary investigation. If the preliminary investigation suggested that further investigation was warranted, the AG was required to petition three judge panel established by the statute and known as the “Special Division,” to appoint an “independent counsel.” There is a process to use when necessary to appoint an Independent or Special Prosecutor. When is it necessary? Read the Law!!!!! The grossest irony in this mess today is that it is ALL for political purposes and has no basis, no fact, and no chance of getting anything substantive done. Democrats know that! So why are they pushing so hard? Why are they crying about Trump so loudly? Want some more irony? This entire debacle is because Liberals HATE Donald Trump. Do not get caught up in the noise in all the news reports, talk show blathering, newspaper headlines, lawmakers in interviews talking about credibility and integrity and honesty. Those things have NOTHING to do with what they really want: they want Donald Trump’s head on a stick. None of this is about anything but Trump spoiling their plans for another 8 years in the White House. He beat Hillary Clinton! That could not be — should not be — and they cannot let it stand. Donald Trump has broken NO law….period. There’s nothing there for a special prosecutor to prosecute for! If/When the FBI finds evidence, present it to a grand jury, give them the evidence. Let the grand jury issue indictments if warranted. 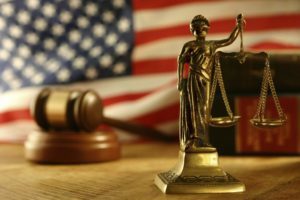 Let the Law work…not Politics! Is the Appointment of an Independent Counsel Needed? The cries in D.C. for the appointment of an Independent Counsel are deafening. The only justification for doing so has been that “where there’s smoke there must be fire.” Of course this is all directed at alleged collusion between the Putin Russian government and the Trump Campaign during the 2016 election. The most important word in the last two sentences is “alleged.” Multiple sources — including the former DNI Director James Clapper in testimony this week before Congress when asked stated there was NO evidence of any Russia-Trump connection. That still is not good enough for the Schumer-Democrat Trump Mafia pundits. They want Donald Trump’s head at all costs, with or without justification. Why do you think that is? But the behind-the-scenes torture for House and Senate Democrats is that the table was set for them to maintain control of all things political in the nation for another eight years. The fact that Hillary was so well known, the wife of the slickest President in D.C. in decades, served as a U.S. Senator and Secretary of State, assured the Left their victory. When they faced defeat in November, none slept very well that night. But early that Wednesday morning the planning began and the calls went out: “Get Donald Trump, no matter what it takes. He hijacked our plans.” And it began. As a result of Watergate, in 1977 Congress passed the Ethics in Government Act (EGA) which for the first time defined procedures for the appointment of special prosecutors. Specifically, the Act provided that upon receiving allegations relating to certain “covered persons”, the Attorney General was required to conduct a preliminary investigation. If the preliminary investigation suggested that further investigation was warranted, the AG was required to petition three judge panel established by the statute and known as the “Special Division,” to appoint an “independent counsel.” Several aspects of the Act require further explanation. The Act defined two categories of “covered persons” – [1) “mandatory” covered persons and (2) “discretionary” covered persons. Mandatory covered persons were those persons for whom a conflict of interest was presumed to exist by virtue of their close relationship to the President, DOJ or Attorney General. These included the President, Vice President, Cabinet, the Executive Office of the President, and high-level officials in DOJ, the CIA, IRS and the President’s National election campaign. The Act required that an Independent Counsel be appointed to conduct any investigations regarding such mandatory covered persons. Discretionary coverage, by contrast, allowed the AG to seek an independent counsel to investigate allegations regarding officials not considered “mandatory covered persons” if he felt that such an independent investigation would be appropriate. Such discretionary coverage was available for members of Congress when appointing an independent counsel would be “in the public interest” or for any person if the AG determined that investigation or prosecution of that person by DOJ could result in a personal, financial, or political conflict of interest. The Act was triggered when the AG received “information sufficient to constitute grounds to investigate” whether a covered person had committed a serious federal crime. Upon receipt of such information, the AG was required to consider (1] the specificity of the information and (2) the credibility of its source. If the information was either not specific or not credible, the AG was required to close the matter. If the information was not found to be lacking in either specificity or credibility, the AG was required to undertake a preliminary investigation and to notify the Special Division of the commencement of the investigation. The Act also required the AG to make an initial determination as to whether he should recuse himself immediately from any further proceedings under the Act. The Act provided that AG recusal was required when the allegations involved the AG directly or any person “with whom the AG had a personal or financial relationship.” If the AG recused himself, then the next most senior DOJ who was not conflicted would perform the same functions under the Act that the AG would have performed but for his conflict of interest. After the initial determination regarding the credibility and specificity of the allegations, the Act required the AG to complete a “preliminary investigation” within 90 days. The purpose of the preliminary investigation was to determine whether there were “reasonable grounds to believe that further investigation is warranted.” If so, an independent counsel would be appointed by the Special Division to conduct that investigation. If not, no independent counsel would be appointed. The preliminary investigation was similar to ordinary criminal investigations conducted by DOJ except that the AG was not permitted to use the grand jury, issue subpoenas or enter into plea bargains. Political Correctness, Political Expediency, and Legal Necessity for the actions detailed in the law are NOT grounds for such action. Thankfully Congress thought through the dangers of taking such actions for political purposes and passed this law with these regulations. I guarantee that the acting Attorney General — a 30-year career attorney in the public sector — will NOT act with any political purpose but will follow the law to the letter. Americans should expect nothing less. 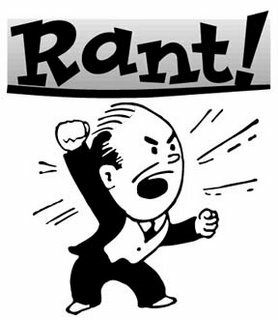 All the rancor we see and hear today from politicians and their PR staff — CNN, MSNBC, CNBC, ABC, CBS, NBC, NY TIMES, WASHINGTON POST, etc. — is driven 100% by one thing: Get Trump. Schumer yesterday set the stage and gave his followers their instructions to do anything and everything necessary to force major legal action to go after the President. Put down the personal agendas and subsequent political partisan pettiness. For once, be the representatives of the American people. Let Justice do its thing. Let the President do his. You guys do yours.